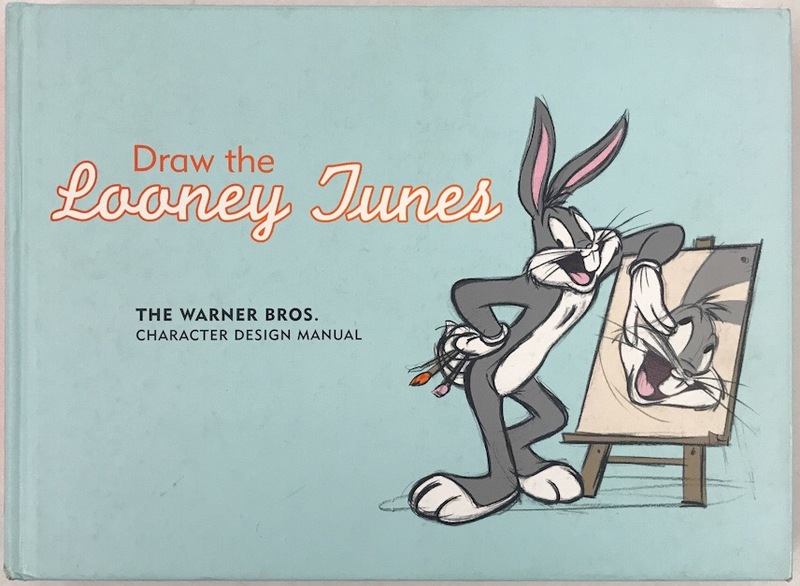 This is the trade edition of what was Warner Bros. Consumer Products' in-house character manual which was created by Frank Espinosa (formerly of Warner Bros. and also creator of Rocketo). Includes character and background designs and layouts. Warner Bros. proudly presents Draw the Looney Tunes. 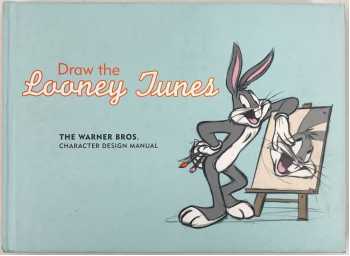 For years, this was the textbook used by in-house artists to learn the ropes at Warner Bros. This exclusive edition brings the book to the general public for the very first time. But in no way have we stripped it down. We're not kwazy. We've left all the bells and whistles in place: vellum overlays, landscape four-color foldouts, vintage cartoons, step-by-step instruction, and how-to text quite the package! With good humor and wise counsel the artists reveal their secrets of success and outline everything necessary to master the basic principles. 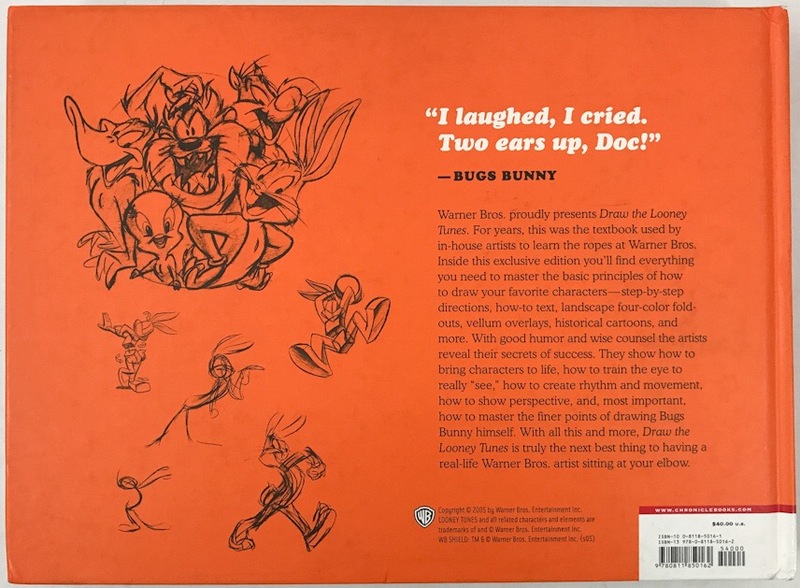 It's written for every level of expertise, so budding cartoonists and those well into their craft will learn how to bring characters to life, train the eye to really "see," create rhythm and movement, show perspective, and perfect the finer points of drawing Bugs himself. 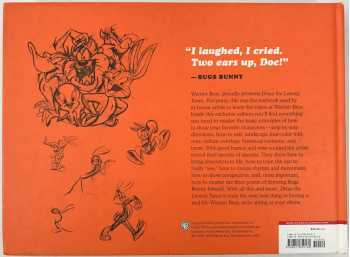 Chockful of all this and more, Draw the Looney Tunes is a veritable open vault of information and inspiration from those in the know and th-th-th-th-that's a lot, folks! Over 300 color and black and white illustrations.